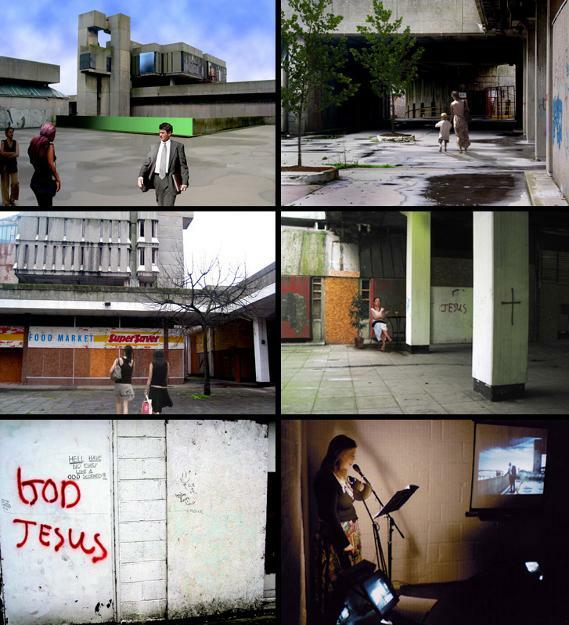 Scale is an artist-led serious of collaborations encompassing installation, video, writing and performance. It is run by artists and theatre-makers Simon Daw and Paul Burgess. It centres on Scale Project, a long-term investigation of urbanism, utopianism and the social implications of large-scale planning. Scale Project started with New Town, in which Simon and Paul worked with numerous Russian and UK artists during a two-part, British Council funded residency in Novosobirsk, Siberia, and Harlow, UK. 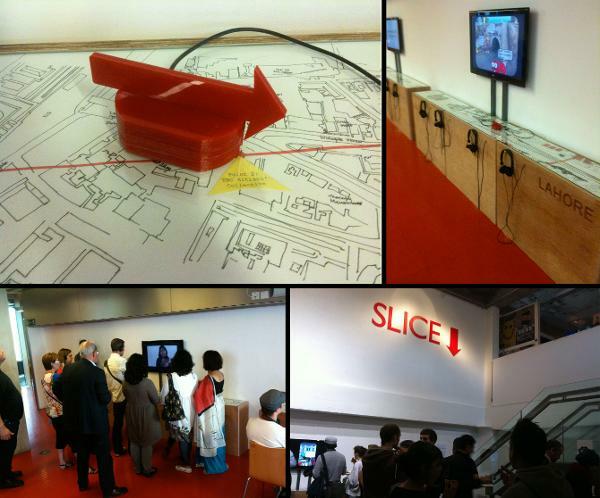 Left: SLICE: London-Lahore, curated by Simon Daw, Fatima Hussain and Paul Burgess, shown in London at Rich Mix and Idea Store, Whitechapel, and in Lahore at the National College of Arts. Scale's most recent project was SLICE: London-Lahore, a partnership with Other Asias which brought together artists from the two cities to make a collaborative installation and website. Scale also made Tricorn Innit, a performance for galleries made in collaboration with writer Julia Lee Barclay, documenting the Tricorn Centre in Portsmouth before it was demolished, and created the installation Every Brilliant Thing, partly generated through Faecbook, which was shown at Latitude Festival. They have also led education projects, including DisPlace, a film about sense of place made with teenagers on the edge of school exclusion. Simon and Paul have also worked together outside of Scale, including a skill sharing in Ghana, supporting emerging production designers. Right: Tricorn Innit, a performance for galleries made in collaboration with writer Julia Lee Barclay and performed at various spaces in SE England.